Selling a small business is a complex venture that involves several considerations. It can require that you enlist a broker, accountant and an attorney as you proceed. Whether you profit will depend on the reason for the sale, the timing of the sale, the strength of the business’s operation and its structure. The business sale will also require much of your time and, once the business is sold, you’ll need to determine some smart ways to handle the profit. Reviewing these seven considerations can help you build a solid plan and make negotiations a success. Next, you’ll want to determine the worth of your business to make sure you don’t price it too high or too low. 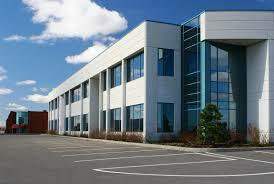 Locate a business appraiser to get a valuation. The appraiser will draw up a detailed explanation of the business’s worth. The document will bring credibility to the asking price and can serve as a gauge for your listing price. Selling the business, yourself allows you to save money and avoid paying a broker’s commission. It’s also the best route when the sale is to a trusted family member or current employee. In other circumstances, a broker can help free up time for you to keep the business up and running, keep the sale quiet and get the highest price (because the broker will want to maximize his or her commission). Discuss expectations and advertisements with the broker and maintain constant communication. Gather your financial statements and tax returns dating back three to four years and review them with an accountant. In addition, develop a list of equipment that’s being sold with the business. Also, create a list of contacts related to sales transactions and supplies, and dig up any relevant paperwork such as your current lease. Create copies of these documents to distribute to financially qualified potential buyers. Stay in contact with the potential buyers. Find out whether the potential buyer prequalifies for financing before giving out information about your business. If you plan to finance the sale, work out the details with an accountant or lawyer so you can reach an agreement with the buyer. Allow some room to negotiate, but stand firm on the price that is reasonable and considers the company’s future worth. Put any agreements in writing. The potential buyers should sign a nondisclosure/confidentiality agreement to protect your information. In addition, the buyer may have you sign a non-compete agreement, in which you would agree to not start a new, competing business and woo away customers. Selling a business is time-consuming and for many, an emotional venture. A good reason to sell or the existence of a “hot” market can ease the burden, as can the help of professionals. It may also be possible to receive free counseling from organizations such as SCORE, and your local chamber of commerce may offer relevant seminars and workshops. When all is said and done, the large sum of money in your bank account and your newfound free time will make the grueling process seem worthwhile.